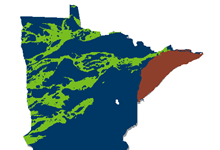 There are different mining laws in Minnesota that apply to iron ore (including taconite, which is a type of iron ore) than to other metallic minerals. These other metallic minerals are called nonferrous metallic minerals in the state laws and rules. Nonferrous metallic minerals include metals such as copper, nickel, platinum, palladium, gold, silver, cobalt, chromium, zinc, lead, bismuth, tin, tungsten, tantalum, or niobium. The state nonferrous metallic mineral leases contain conditions and obligations that are all specifically designed to mitigate the environmental impacts of exploration and/or mining. Policies, fiduciary responsibility, lease sales, negotiated leases, lease activity, exploration plans, drilling regulations, and history of state leasing. 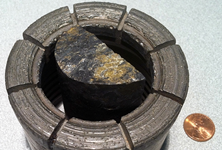 Information regarding the typical exploration process to discover a nonferrous metallic mineral deposit. 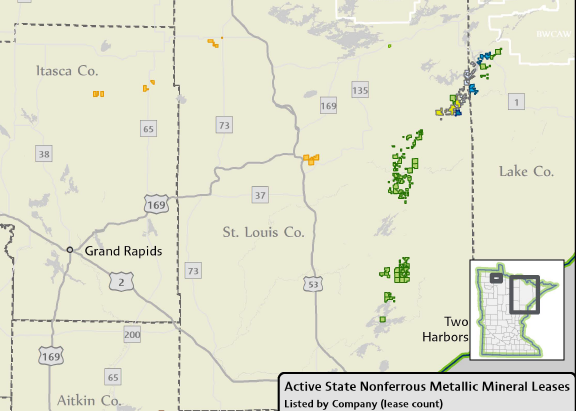 Where are explorers searching for nonferrous metallic minerals in Minnesota? 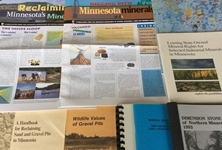 The Lands and Minerals Division compiles annual data related to private exploration drilling in Minnesota. 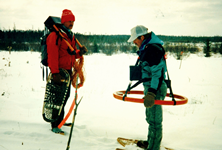 View maps and data pertaining to private exploration drilling data since 1987. General information describing the steps involved for an exploration company to take a nonferrous metallic mineral deposit and develop it into a future mine. 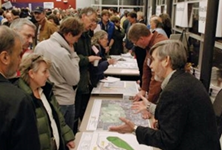 Poly Met Mining, Inc. (PolyMet) is proposing to develop a mine and associated processing facilities for the extraction of copper, nickel, and platinum group elements (PGE) in northeastern Minnesota. If permitted, the mine would be the first of its kind in the state. 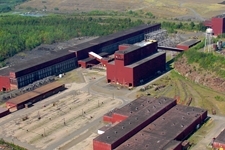 There are no state nonferrous metallic mineral leases involved in the project. View or download a selection of publications from Lands and Minerals Division including those related to mining and minerals. 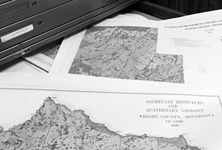 The Lands and Minerals Division has a history of creating, maintaining, and sharing spatial datasets and digital print maps. 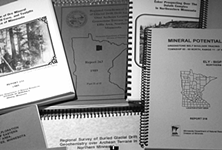 The Lands and Minerals Division conducts mineral resource projects in order to perform: mineral asset management on School Trust Lands; state mineral lease administration; and to protect trust mineral rights during land transactions.